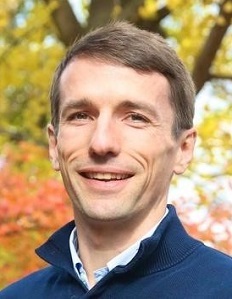 Martin West is associate professor of education at the Harvard Graduate School of Education and a faculty research fellow at the National Bureau of Economic Research. He is also deputy director of the Harvard Kennedy School’s Program on Education Policy and Governance and executive editor of Education Next, a journal of opinion and research on education policy. West studies the politics of K–12 education policy in the United States and the impact of policy on student learning and non-cognitive development. He has co-authored or edited several books, including most recently Teachers versus the Public: What Americans Think about Schools and How to Fix Them. He has also published widely in academic journals and media outlets including Education Next, Education Week, Vox, and the Wall Street Journal. In 2013–14, West worked for the U.S. Senate Committee on Health, Education, Labor, and Pensions as senior education policy advisor to the ranking member, Sen. Lamar Alexander. He previously taught at Brown University and was a research fellow in governance studies at the Brookings Institution, where he is now a non-resident senior fellow. In addition to his academic and policy work, he is a founding board member of Rhode Island Mayoral Academies, an organization helping educators open socio-economically diverse public charter schools in partnership with mayors. He received a doctorate in government and social policy from Harvard University.